"Through My Eyes" featured many stunning photographs of Murray Bridge and the surrounding Murraylands area with Melanie placing a particular emphasis on landscape photography and sunsets. "My favourite thing to photograph would be landscapes and sunsets, I find them really pretty and they make a great photo," Melanie said. Melanie's passion for photography has been developing for some time having come from a very artistic family. Melanie's mother is an avid painter and her dad is also a professional photographer, introducing Melanie to the art of photography many years ago. "I think I got my dad's genes, it definitely runs in the family. I started over four years ago when dad got me into it, I used to follow him at work and one day he gave me an old camera to use and I started taking photos," Melanie explains. Following in dad's footsteps Melanie has followed her passion and developed her skills to become a fully-fledged professional photographer in her own right. "I have sold heaps of photos, heaps, heaps too many, too many to count," Melanie said. "I would like to do another exhibition, the last one was busy, busy, but I enjoyed it. I have improved but I still have a little bit to learn to be honest." Initially shy and uncomfortable around large crowds and people she didn't know when first becoming a client, Melanie gave an address to a crowd of more than 50 people at her exhibition's opening ceremony. This was a significant achievement showing that Melanie's level of self-confidence and communication skills are always improving. 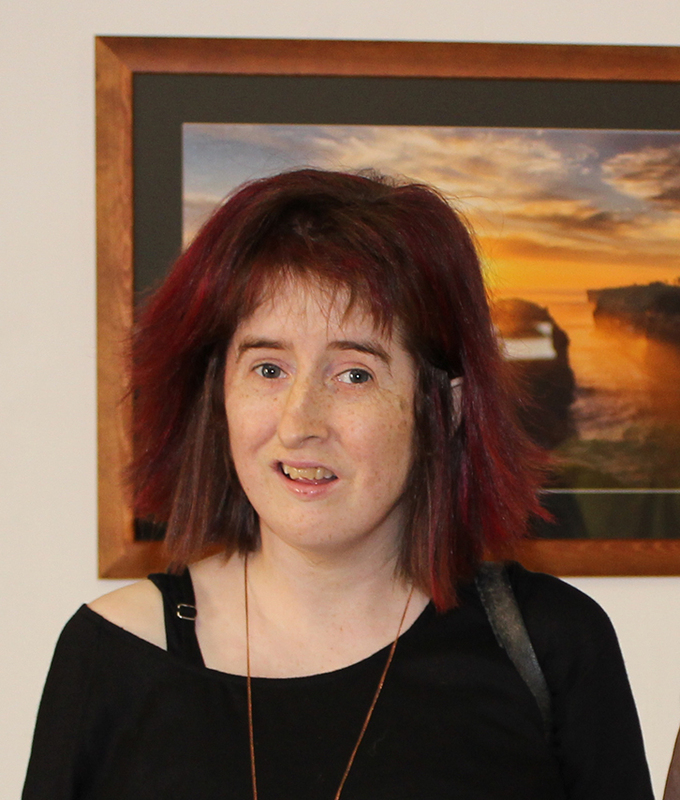 This personal development has enabled Melanie to pursue other passions and interests outside of photography with support to attend art classes in Mount Barker, the gym in Murray Bridge and to develop her independent living skills. Melanie has also started volunteering at a Child Care Centre. "All the workers at Community Living Australia have been fantastic- they are very helpful," said Melanie. "Community Living Australia has been very supportive and has really got behind Melanie and the work she does, which has been great, we are really happy with how her support is going at the moment", added Pam, Melanie's mother. "It has been a pleasure to support Melanie over the past number of years and we are so proud of her achievements. It just goes to show that disability does not mean inability and that it is definitely no barrier to creativity," said Molly Baulch, Regional Manager Murraylands. We are sure we speak on behalf of all our clients, families and employees when we say we wish Melanie all the best for her future endeavours.